The book presentation in Sarajevo took place on March 30, 2015, at the beautiful facility of the Gazi Husrev-bey‘s Library at 18 o’clock. 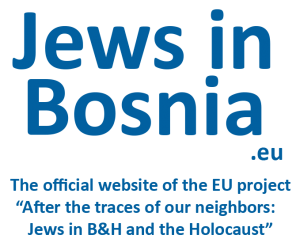 It was organized by the Austrian Academy of Sciences and the Institute for History, Sarajevo. Please find here the event invitation and announcing poster. The event was moderated by prof. dr. Husnija Kamberović, the director of the Institute for History who was the publisher of the book. – Ms. Alma Leka, prof. hist., one of the book reviewers. At the beginning of the presentation, many media reporters where there such as FENA (Federal News Agency of Bosnia and Herzegovina), FACE TV, BHRT (National Broadcasting Network) and they have interviewed the book authors. The authors and the organizers were satisfied with the book presentations. The comments of the present visitors, who have filled the presentation room where also positive, and the most of the visitors used the possibility to write their names and addresses in order to receive the book. The leaflets about the project were distributed to the visitors. The visitors present at the book presentation were from differet target groups including the members of the cultural, educational and political institutions, journalists, as well as the Holocaust survivors and other members of the Jewish community, and also guests: researches and historians from Serbia. The information about the book presentation in Sarajevo was at the same evening reported by many important internet portals and in following days also in the newspaper and television (see Media section of the website).